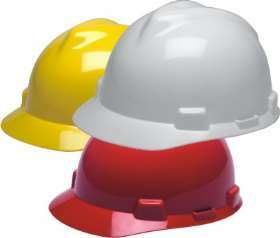 These Hard Hats Meet or exceed the applicable requirements for a Type I helmet (top impact) as outlined in ANSI Z89.1-2003, Class E and G.
LOGO AREA: These hard hats are completely curved and offer the largest logo area. Approx 4-5 Sq." area depending on your logo layout.